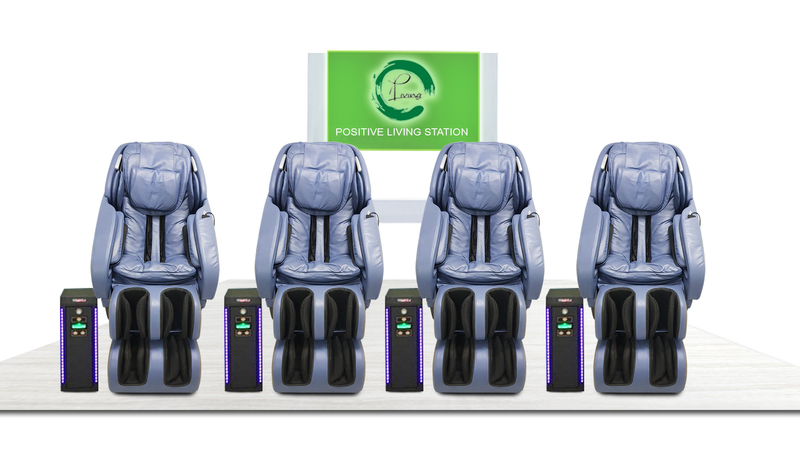 Positive Living started in 2012 as a Vending Massage Chair Station services provider. Our founder and managing director, Mr. Simon Loh, first discovered this venture overseas, and he had the idea to bring this business in the Philippines where he was permanently based. The first branch was established in the South and the company continued to branch out area by area. 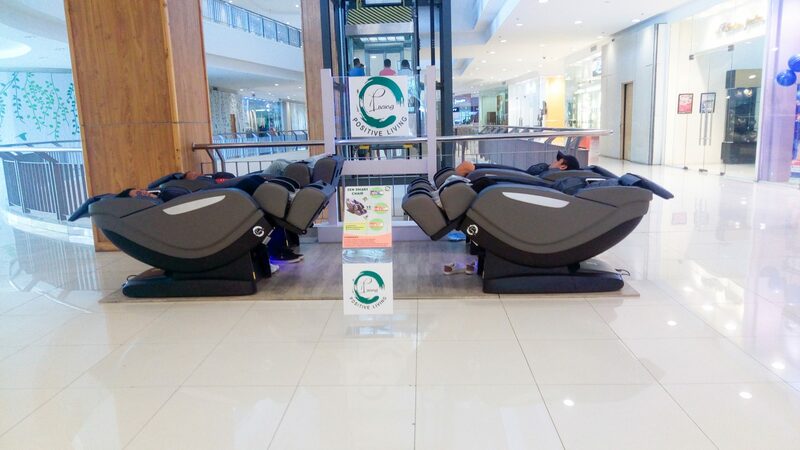 Recently, we have partnered with SM Malls to reach more customers who need rest and relaxation at an affordable price. From 2012 to 2017, the company has established over 20 company-operated stations nationwide. 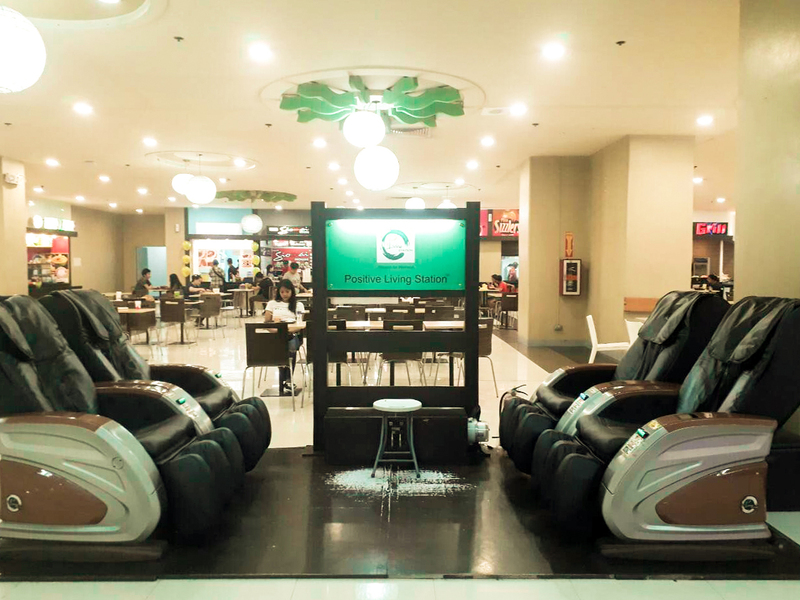 As a man who thinks big and dreams big, Mr. Loh then started to wonder, “How can we become the NUMBER 1 Vending Massage Chair Station company in the Philippines?” and that’s when he came across the idea of extending this business opportunity to the public through Franchising. To date, we already have 80 Franchisee Partners and 100 Franchisee-operated Stations nationwide. This opportunity has paved the way for our company to grow in just 6 years of operation, and we aim to extend our continuous success to everyone who would like to start their own business. If you want to put up your own business but are not sure of where to start. This is the place and the opportunity for you. Positive Living offers an unconventional business venture. The Vending Massage Chair business requires less supervision and less manpower than other ventures. We have established our brand in the industry and we guarantee relaxation and comfort to customers. What’s even better is you can be one of our partner franchisees by joining our rent-to-own program. This opportunity is right for anyone who aspires to start and put up a business. This business venture is right for you whether you are currently employed, managing your own small business, or even overseas! We offer an opportunity that generates a passive income and requires less time. 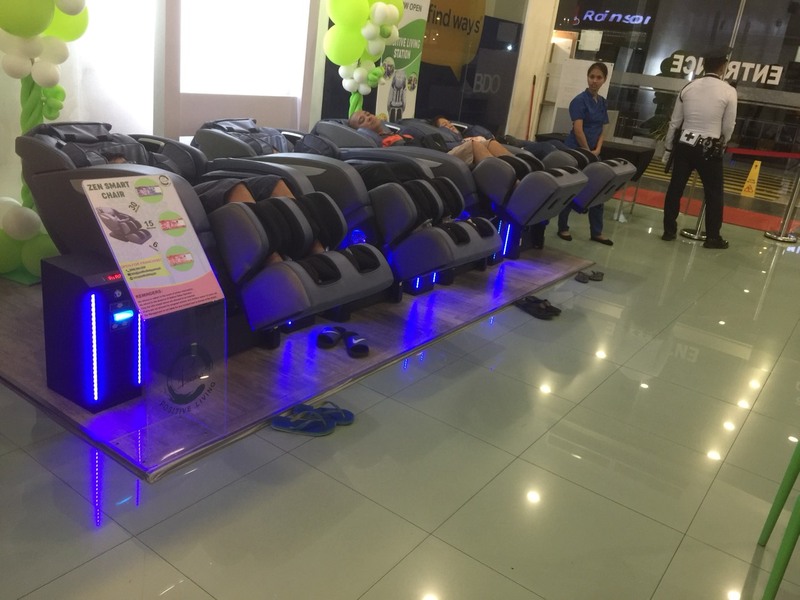 Can I buy a Massage Chair by cash instead of rent-to-own? Yes! You can avail our product thru cash payment, we will give you a 15% discount. From P199,000., your investment will be reduced to P169,150. You may either use cash, check or credit card. Why should I avail the rent-to-own if other company can offer installment plan through credit card? If you will avail of the credit card installment, it is similar to full payment indirectly, because once the credit card have been swiped – the full credit amount is already deducted from your credit card limit. If you will compare our rent-to-own program, the monthly credit card installment is definitely much expensive than the rent-to-own. Why should I rent if I can buy through cash? Low cash-out. If you will be using it for business, there is minimal capitalization. 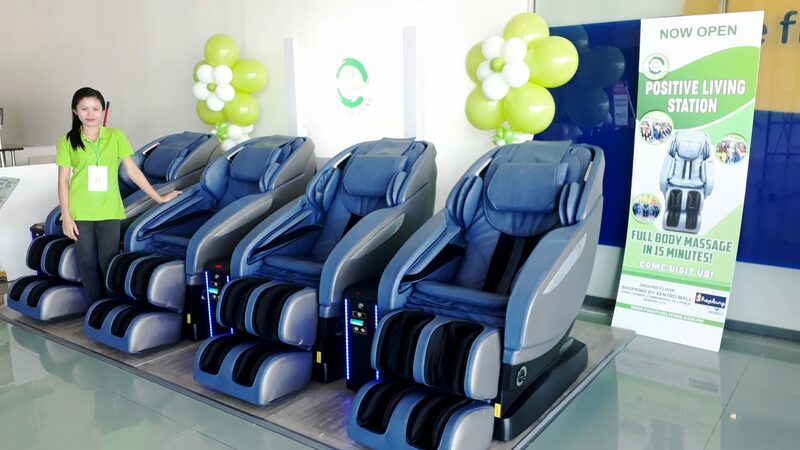 You will have a chance to upgrade your Massage Chair on the 24th month respectively. 24 months on the mechanical and moving components of the Massage Chair. During the lease period, our company will provide maintenance and parts replacement of the Massage Chair. We will only charge minimal fee for the technical support. Will I get an additional discount if I avail of the rent-to-own program? Our rent-to-own program is already discounted. Since the cash payment is discounted to Php 169,150., the rent-to-own program will just amount to Php 5,900. per month which in total is Php 141,600. Only for the 24 months coverage. Why do I have to avail the Rent-to-own program if I can avail the services at the Positive Living Vending Station? The Massage Chair in Positive Living Station is still different from our new Massage Chair at this moment. 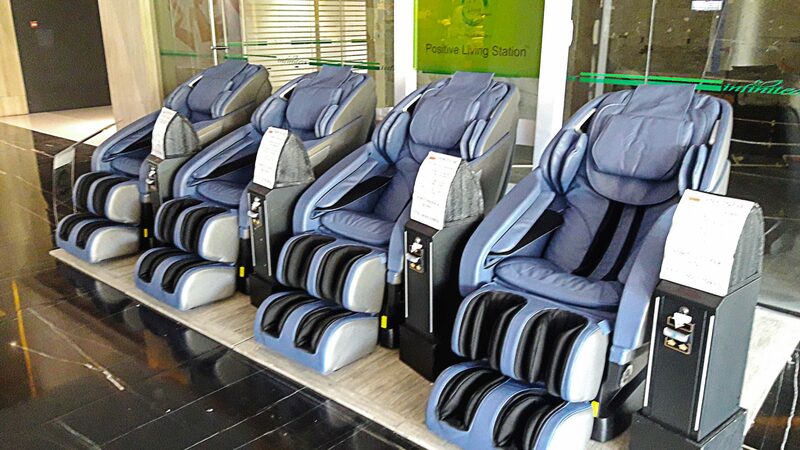 For as low as Php 196. per day – you can have the Massage Chair and your whole family can use it. If I rent the Massage Chair and bring it to the province? Will the company still provide maintenance services? Yes, you can bring the Massage Chair anywhere if it is for personal use. 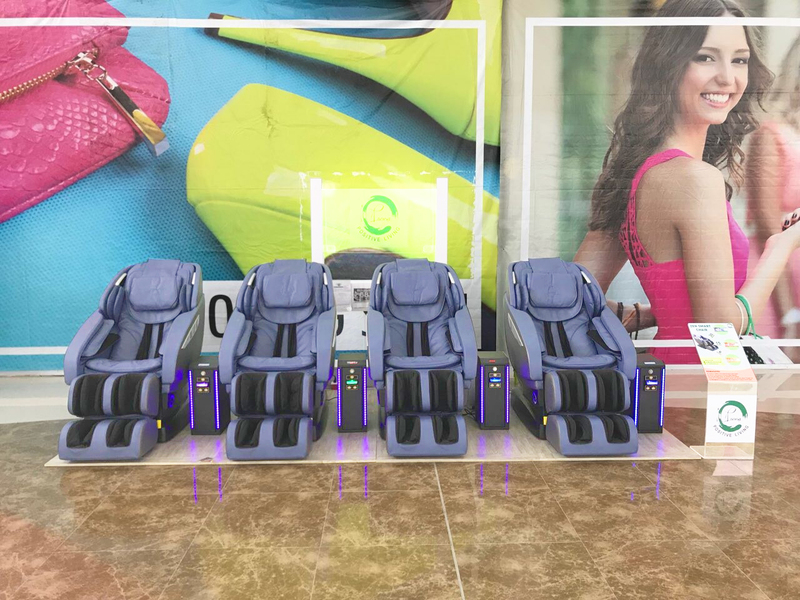 For franchise Massage Chair, it may be relocated after the approval of the management following the terms and condition of the franchise agreement. Rest assured that our company will provide the maintenance services nationwide whether the Massage Chair is for personal or business use. If after two years I decided to return the Massage Chair, who will shoulder the delivery cost? The delivery cost will be shouldered by the customer when it is returned. The customer can call the customer services at 551-7371 for assistance. If less than a year and I decided not to continue the rent-to-own program can I still return it? Basically No, since in the rent-to-own contract is lock-in for 24 months maturity. What if I can’t afford to continue the rental payment? What should I do? You must inform us and surrender the Massage Chair. The security deposit will be forfeited. What will happen if I just run away with the Massage Chair? Hopefully not, but in such a case, regrettably we will have to pursue legal action. Is the Massage Chair still much expensive even if I go for rent-to-own? Yes. Basically, if you are talking about the Massage Chairs, the prices are usually expensive. However, we made it more affordable with our rent-to-own program. Why the security deposit is too expensive? If you compare the retail price of the entire Massage Chair in the market, you will see that we only ask for minimum amount of security deposit. Security Deposit is important because it is one that qualifies our customers capacity to pay. Considering that the security deposit will be paid only once in a lifetime, you can continuously upgrade to new Massage Chair every 2 years and avail of the maintenance services of our company. The Security Deposit is refundable if you decide to return the Massage Chair at the 24th month maturity. If I chose not to return the Massage Chair after 2 years, do I still get the technical support? Yes. The company will still provide the technical support. We will have to charge for the spare parts and technician visit. What is the inclusion of warranty? The warranty will cover the mechanical and moving components of the Massage Chair. But the cover and leather of the Massage Chair is not included. Please refer to our Lease Agreement for full details. How long can the Zen Smart Massage Chair last? Technically the Massage Chair can last for more than 8 years, but the whole idea of rent-to-own is the upgrade. So you can have the best Massage Chair every two years – guaranteed. How long can I use the Massage Chair every day? As long as you feel like having a massage, but not more than 2 hours straight . Every 30 minutes is good enough. How much space can consume the Massage Chair? The side of the Massage Chair is more or less 2 sqm. The Massage Chair is design for Asian Family like in Korea, Hong Kong and Singapore so it does not consume too much space. How much is the electricity consumption of the Massage Chair? Surprisingly low. It only consume 200 watts much less than the home appliances that we have. Can I rent from the company and re-rent it again with a specific person without going for Franchise or Purchase a Money Box? Yes. you can re-rent it to another person, but it is very difficult once the person who rent from you realize the actual renting price. Since we will launch this nationwide and we will do the intensive advertisement many people will know about the rent-to-own program. Is the Massage Chair safe to use? Yes, so far, we have no issues and complaints about the safety of the Massage Chair and we have a few thousand Massage Chairs in the market. And also the Massage Chair has been certified safe by the manufacturer. What are the requirements for Rent-to-own? Kindly refer to the Application Form. Valid I.D’s and Utilities Billing Statement will be required. What is the mode of payment for Security Deposit? Through Check, Cash or Credit Card. Company will acknowledge the security deposit thru an Acknowledgement Receipt. After the Security Deposit is paid, how long will I get my Massage Chair? After the security deposit is paid, you still need to undergo Credit Investigation, the arrangement for the delivery will be after the CI. After a week for consumers. Leave us a message if you're interested to purchase our products or become one of our Positive Living Franchisees. We are happy to answer any questions and we will respond as soon as we can. Positive Living Station - Puso ng Baguio Bldg. Positive Living Station - Market! Market!